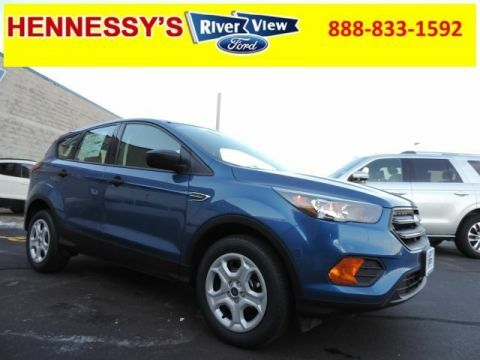 Focus/Fusion to Escape RCL Renewal - A customer returning from any new Ford Focus or Fusion RCL Contract may go into any eligible new Ford 2019 Escape Retail or Lease Contract. Limit of one renewal incentive per termination. A customer must terminate their current lease in order to qualify for the incentive. Customers are not required to terminate their new RCL Lease at original dealership. - Customers who have previously terminated their lease up to 90 days prior to the sale date of the new vehicle OR have a lease termination scheduled up to 90 days after the sale date of the new vehicle are also eligible for this incentive. - A customer who terminates their Lincoln RCL lease is NOT eligible for the Renewal Incentive. - A customer who terminates their Independent lease is NOT eligible for the Renewal Incentive. - This offer can be "Transferable within household (same address), from Business to Business Owner and from Business Owner to Business." Focus/Fusion to Escape RCL Renewal (37092). For current Ford Credit RCL or RCO Customers. Purchase or lease and finance through Ford Credit. Not all buyers will qualify. Residency restrictions apply. Take new retail delivery from dealer stock by 04/30/19. See dealer for complete details and qualifications.